Hundreds of "Frozen" cartoon film fans took to Twitter to press Disney, the producer of the children's mega-hit musical, to make a sequel – only this time, give the leading lady, Elsa, a lesbian love interest. The hashtag "#GiveElsaAGirlfriend" took off on Twitter, with posters and media pundits noting that the takeaway song from the Disney film, "Let It Go," was already a big deal among LGBT community members. As a writer with the Independent noted: "What better candidate is there for that honour than Elsa, whose own journey of acceptance with her powers has widely been interpreted as a metaphor for coming out?" Among some of the pro-gay posts on Twitter was this one, from Jeffrey Marsh: "#GiveElsaAGirlfriend because LGBT kids deserve to know that there is nothing wrong with them." And another: "#GiveElsaAGirlfriend because little girls watching should know you can be a princess and love another princess." And another, from @feminizza: "#GiveElsaAGirlfriend so little kids will know that girls loving girls is normal even when their parents teach them otherwise." 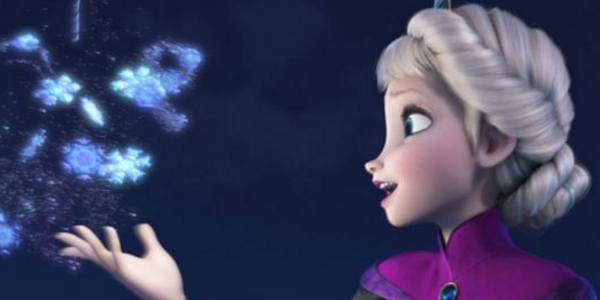 Yet another, from @feministgals: "hey @Disney, give us a gay Elsa! Young queer kids need someone to look up to!! #GiveElsaAGirlfriend." And one more: "#GiveElsaAGirlfriend because there is absolutely no representation of any LBGTQ+ people in children's Movies/Tv." Another poster, @miaafame, suggested the LGBT community was much more widely populated than scientific research and surveys show. She tweeted: "#GiveElsaAGirlfriend because 1 in 5 kids are queer, but only 1 in 10 feel safe enough to come out."